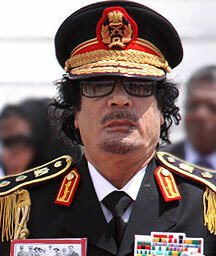 The Islamist Factor in Post-Gaddafi Libya: Will Libya Become “Libyastan”? Current: The Islamist Factor in Post-Gaddafi Libya: Will Libya Become “Libyastan”? The U.S. and the West’s military intervention in Libya finally succeeded in toppling Gaddafi’s 42- year reign in Libya and brought to power an amorphous body called the NTC (National Transitional Council) headed by Mostafa Abdel Jalil, headed by a former judge and Minister of Justice under Gaddafi, a devout Muslim educated in the best tradition of Muslim jurisprudence. a. At the end of his presidency, US President Jimmy Carter offered assistance to the mujahidin (Islamic fighters) in their war against the Soviet presence in Afghanistan. Weapons and equipment were sent. The well-known result was the empowerment of forces that would in the end be inimical to the interests of the West, and ultimately led to the Taliban takeover of the country. Afghanistan became a safe haven for Osama bin Laden and the story that followed included the most lethal terrorist attacks against the West in the decades that followed. b. The official reason for U.S. military intervention in Iraq was the presence of weapons of mass destruction, which at the end of the day were never found. As a result, Iraq as a state was restructured into what the U.S. thought it should be: Instead of a country ruled for decades by the Sunni minority, Iraq became a Shiite dominated country. Since its renewed “facelift,” Iraq has been a destabilized state living under the constant threat of terror and religious partition. Iraq lost its central role in Arab affairs and worse, stopped being a buffer against Iran and Iranian influence in the Middle East. Many of the political elites of the new Iraq have been receiving funding from the Iranians. No real gain was registered to the US. There are plenty of reasons to fear that the military action undertaken by the West might be playing into the hands of its worst foes and ideological enemies. A statement released on February 24 on the Al-Qaeda affiliated Al-Fajr media website quoted the group known as Al-Qaeda in the Islamic Maghreb (AQIM): “We declare our support for the legitimate demands of the Libyan revolution. We assert to our people in Libya that we are with you and will not let you down, Allah willing. We will give everything we have to support you, with Allah’s Grace”. Support was also expressed by Hezbollah’s leader, Hassan Nasrallah, who offered to send some of his military experts to help train the rebels. So did Hamas. There was almost a consensus amongst the extreme and fundamentalist Islamic organizations that there was a necessity to assist the rebels against Gaddafi. Those extreme organizations would have not expressed such unanimous support had they not understood the Islamic implications of a triumph against Gaddafi.